One of many gorgeous pieces from Burberry's Spring/Summer 2013 collection is the Light Glow Natural Blush in Coral Pink ($42), a matte, slightly bright pink with a subtle sheen. Coral Pink is very pigmented and the finely milled texture feels incredibly smooth and silky. Burberry is all about subtle colors and natural looking shades, so I was surprised to see a couple of brighter blushes and glosses in the Spring/Summer collection. Although a tad bright in the pan, Coral Pink is perfectly wearable and adds that lovely, fresh glow. I prefer using a stippling brush, just so I can control the amount of product, since it is very easy to go overboard with this one. The intensity is buildable, doesn't get patchy and works really well as a light dusting or as a brighter pop of color. I had no issues with blendability or staying power either. It stays put for a good 7-8 hours under primer and leaves behind a light flush of color that looks extremely natural. The packaging, although quite heavy, is very Burberry and super classy. The magnetic closure makes it great to travel with. My only issue with Coral Pink is the little amount of fallout it has. Although finely milled, it does tend to make a mess inside the compact with use. 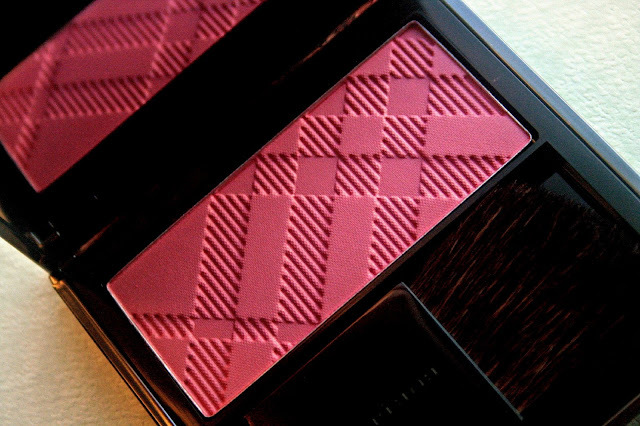 That aside, it is a fantastic blush that is perfect for Spring/Summer. The color is something that would work on a lot of skin tones and brightens a dull face instantly. If you do prefer something a little more intense though, Hydrangea Pink from the same collection might be a better choice. 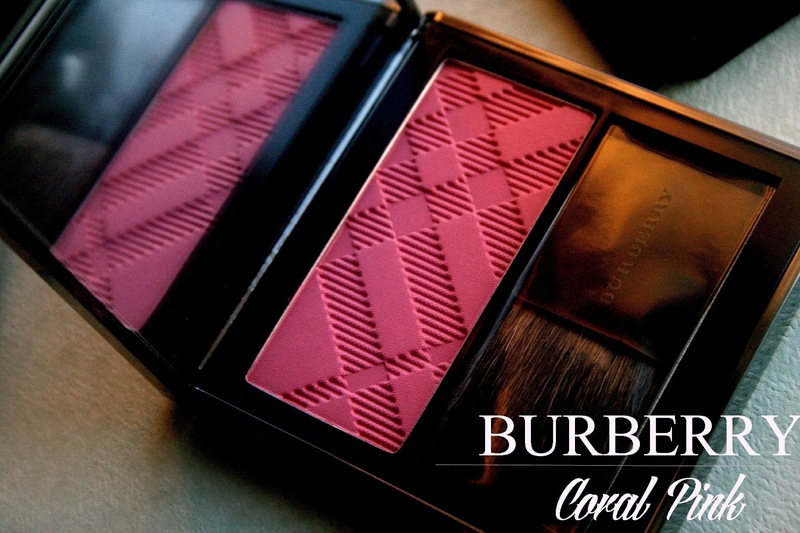 What do you think of the Burberry Light Glow Natural Blush in Coral Pink? thats a really pretty blush! 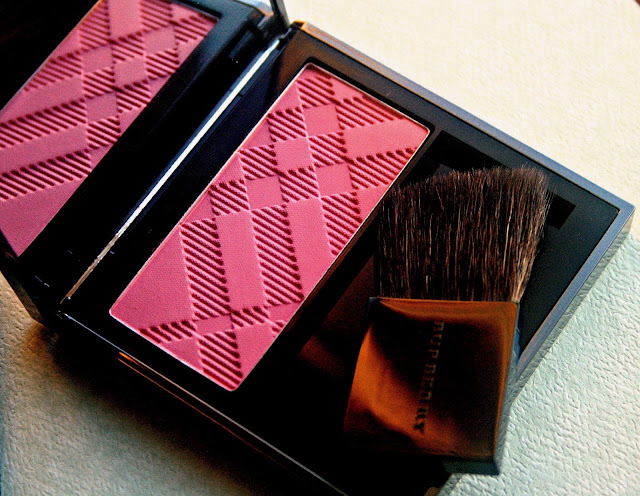 I love the idea of Burberry making such lovely blushes go so wearable. They know to play with textures very well.